The diagnosis and treatment of apraxia is primarily done by speech-language pathologists. Therefore, it is critical for these professionals to understand this disorder, co-occurrence with aphasia and dysarthria, differential diagnosis, and treatment strategies. Discuss the typical co-existing disorders present in apraxia. Describe key factors in differential diagnosis of apraxia, dysarthria, and aphasia. Define apraxia of speech and identify common characteristics. 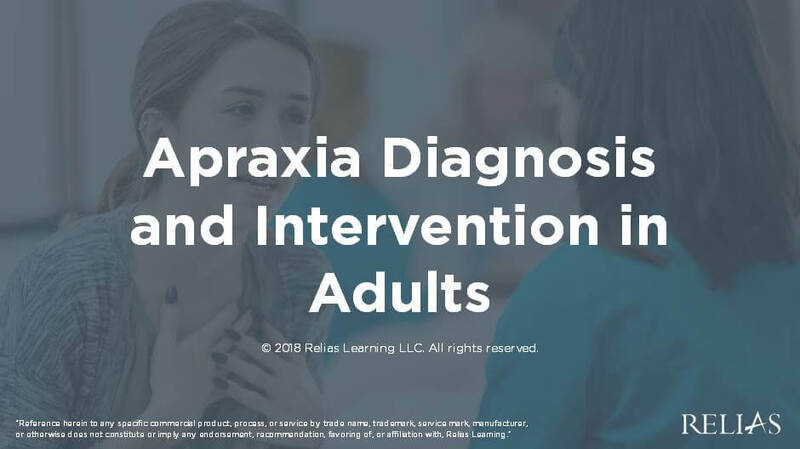 Identify 5 or more appropriate intervention strategies for treatment of adult acquired apraxia of speech.